Ellis Archive - We need your help! Thread: Ellis Archive - We need your help! 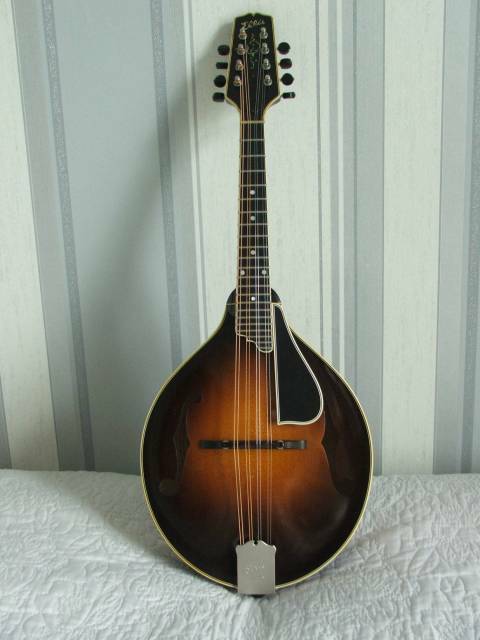 I'm working on some Ellis related projects at the moment, and one of them is working with players to track down and document their Ellis mandolins. What I'm hoping to do is get in touch with as many Ellis owners here on the cafe to work with them to get photographs taken of the instruments in a few positions, documentation on serial number and build date, and get them added to the archive online. You can see what we've collected so far here. In an ideal world, I would love to link to any youtube videos of your mandolin being played, or soundcloud files, or any audio recordings. The goal is to see and hear how these instruments sound! For those of you who don't want to post publicly about your instrument, this can be as confidential as you like--just send me a PM and I would be happy to have an offline conversation. We've got almost a dozen instruments listed right now, and many of them are thanks to the folks over at The Music Emporium (Thanks, Andy!). 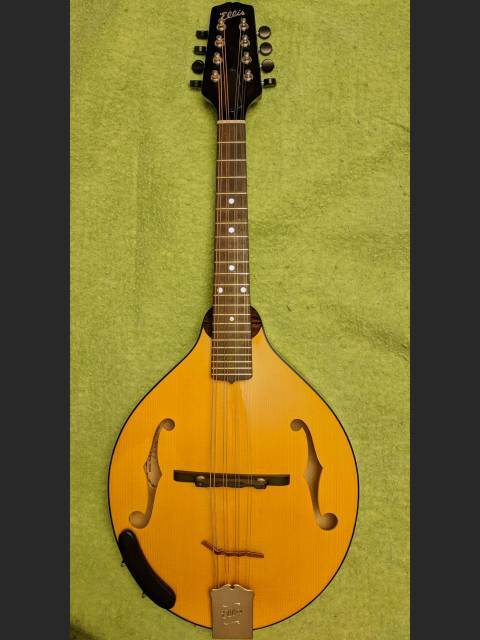 There are also a variety of mandolins from Cafe members in the collection as well. I would love to hear from you, and I hope everybody will appreciate having some more instruments archived for us to appreciate and stoke our collective MAS with. P.S. If you are a passionate player of another small shop builder, and you'd like to see us have an archive for them as well--let's talk! Want to list your instruments with galleries in your signature? Check out RuttList Instrument Archive to create your own galleries for free. Re: Ellis Archive - We need your help! I've already provided Scott with photos. & the build info. on my own Ellis "A" style. A Cafe member in Ireland & Trevor at TAMCO UK,have also done so. You can see mine in the link to Scott's website - middle one on the 'builder gallery'. Scott - re. 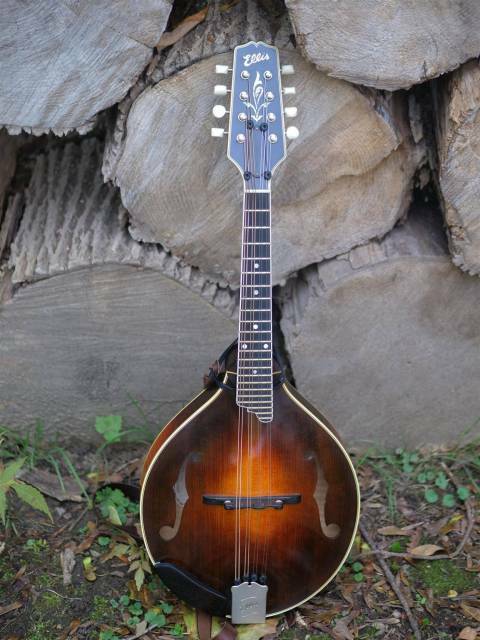 your PS - there used to be an inventory of Kimble mandolins (run, I think, by Mark Daly) which disappeared. Maybe you could put Kimble on the “to-do list”. Does this include Pava Mandolins ? Hi Scott, I play F5 Special #380, completed in early September 2016. This mandolin was the first place prize at the 2016 National Mandolin Championship at the Walnut Valley Festival in Winfield, KS. It's a standard F5 Special with a one-of-a-kind headstock inlay (which very subtly says "WVA 2016"). Don't really have any pro photos, but here's a contest photo and an up close of the headstock. There are a handful of videos on my youtube page (link in my signature), and this mandolin is also featured on Mandolin Mondays series #116. Cool project, I look forward to seeing all of the other beautiful Ellis mandolins! Ivan, Thanks for the kind words! If you want to share your instrument in the thread here there is a 'Share' button on your page and a mandolin cafe code tab you can click on to copy and paste a thumbnail image and gallery link into the thread. I didn't want to 'out' you here, so I didn't share it yet. Ray, I'm happy to set up Kimble as a builder on the site, could you help me with a short bio and photos of one of your instruments to start the archive for him? Luckily this site parallels the kind of work I do for a living and we've got a good long-long term home for the archive. Jordan, I would love to talk you through taking some photos of your mandolin to add. That is super unique, and super nice! The winfield mandolins are always special. Davey, Absolutely this includes Pava! Editing this to try to answer everybody in a single post--sorry. Last edited by Scott R; Nov-09-2018 at 11:43am. Hi Scott - I've posted a link on the Kimble social group - let's see if there's any interest. - Front - Body full frame, showing right side. - Front - Body full frame showing left side. - Back - Body square straight on, full frame, from the back. What I recommend to folks is to use an overcast day outside and a black sheet or interesting darker blanket to lay the instrument on out in the grass. You can also do it in a bed, but the more light, the more detail you'll get from the photos. Phone camera photos are perfectly acceptable, and definitely preferred to nothing. You can PM me for my email and email me photos, or I'd be happy to have you create a free account and add your instrument to your profile yourself. The site is new, and might have some bumps in the road so if you run into any troubles let me know and I'll give you a call to sort it out. Wouldn't Ellis, himself, be a source for this information? We do have a production history to reference, but you would be surprised how many builders don't take the time to photograph their instruments before they leave. Scott - for those of us who don’t use mobile phones, it might be an idea if you could specify the size of photo you’re looking for; i.e. dimensions, ppi and Mb/Kb. The ideal size is 4x3 portrait, but we scale and letterbox the thumbnails so any format can work. We will take the largest images you can provide! 301 from 2013 - A style. Sorry but I do not have any pictures at this time. I will post them when I get can get some good lighting. Just wondering why my Ellis does not sound like Jordan's -at least in my hands? I can size them to whatever you’d like. Just thought you might like them “sized to go” to avoid having to re-save JPGs. Must be the pick . . .
I’ve got an Ellis A oval hole, #187-10. I think it was Mr. Ellis’ first oval and photographs of it are posted on his website. I’ll try to take some pictures myself. Baron Collins-Hill (mandolessons.com) plays a 2009 Ellis A5 Mandolin if I am not mistaken. I imagine he'd reply to any requests for any information-- he seem like quite an amiable guy. Cotten Music has some nice pics of a recent F5 special. FYI. No serial number or date on the ad, but I bet the good folks at Cotten would fill you in on that and give permission to use the pics. Tenzin--thanks for the reminder. Baron sent me photos a month ago and I got them while I was on a trip, I thought I had already added his to the site but not yet. Here it is! I've already talked to Kim, she will get me some eventually. Thanks Don! Also, I believe it is 1 off from Steve Smith's Ellis F5, which is also pretty well documented online. Scott, Thanks for posting pictures of my Ellis A5 Custom on the site. I appreciate having my non-standard custom Ellis included in a list with such great instruments. I have only had this mandolin a month and it isn't even broken in yet - getting louder and sounding better every day. I'm still getting used to her and I'm really enjoying playing it. I have been asked a couple of times if Tom and I are related and the answer is only very distantly. We can track the ancestors we have in common but it goes back several generations.